Minimum System Requirements: OS: Windows Vista/XP (Note: I ran it on Windows 7 64 bit and it works fine), Processor: 1GHz processor or better, Memory: 512MB or more, Video Card: DirectX 9.0 compatible or better, Hard Drive Space: 436 MB or more. Hidden object games have a certain appeal to them, of that there’s no doubt. They are low impact, easy to play, easy to pick up and put down, and generally amusing to a certain point. However, they’re also everywhere these days, and you can’t even go out on the internet without finding links to a million of the things at this point. Companies like Alawar and Big Fish tend to release a pretty large amount of such games alone, in fact, and while it’s good that they have so many that are appealing to so many different genres (in fact, I saw one called Stray Souls: Dollhouse Story that looks right up my alley), for one to inspire you to drop your hard earned cash on it, it needs to do something special to make it worth that cash. Snark Busters: All Revved Up, the sequel to Snark Busters: Welcome to the Club, seems like it might have that sort of “something special”Â going for it. The concept of switching between different locations and dimensions, combined with the interesting steampunk aesthetic, seem like a winning formula, and the first game clearly did well enough to merit a sequel, so it would seem like it has something going for it. Honestly, though, while it’s fun enough as a diversion, it doesn’t really pay off its promise as well as it could, and doesn’t do enough to distinguish itself from the absolute smorgasbord of these sorts of games on the PC market today. The story in Snark Busters: All Revved Up puts you in the shoes of Jack Blair, famous race car driver and general all-around egotist (Seriously, this guy is the farthest thing from humble possible.) as he receives a letter from his missing grandfather, tipping him off to a hunt that’s been going on for a legendary beast known as the Snark. Grandfather, it seems, has been racing after this thing for ages now, and he wants Jack’s assistance in taking it out. As such, he tasks Jack with clearing out a pathway of six doors, which will lead him to an amazing car that will, it’s stated, help them catch the Snark, finally. The game doesn’t really continue from the first one, so to say, so if you missed Welcome to the Club, fear not. Aside from an obvious reference to the protagonist of the first game, you won’t feel lost at all having not played it. That said, while the concept has some real potential, especially if it were played as a subverted concept, the game plays the concept completely straight, and the plot is kind of… adequate as a result. Jack, aside from his complete lack of humility, is generally tolerable as a main character, though he’s utterly unmemorable, and the few secondary characters who pop up aren’t particularly exciting either, sadly. It’s not that the story is a chore to go through, mind you, but you won’t be playing the game to see how things turn out either, as there’s really nothing motivational about the plot whatsoever. It just exists, to be frank. Visually, All Revved Up looks fine enough, in that the various environments are often very well laid out and rather pretty. The game world switches themes appropriately from one level to the next, and the different stage themes are varied and interesting looking in design. The switching from the normal world to the Snark’s mirror world is also rather interesting, as you’ll find yourself in very similar worlds with very different contents and layouts. However, the game is only marginally animated at best, to be honest, even in the cutscenes that animate like marionettes and still images being moved across other still images. Aurally, All Revved Up has some novel sounding music, ranging from old-time tunes evocative of the sort of time period the game seems based in, to spooky somewhat ethereal sounding tunes when you enter into the mirror worlds that are effective enough to be enjoyable. The sound effects, though somewhat repetitive, are also fairly serviceable and do a good enough job, though unfortunately, the game lacks any sort of voice acting to bring the experience to life, which doesn’t do the bland plot or cinematics any favors, unfortunately. All Revved Up is a hidden object game, meaning that you probably have a pretty good idea how it works: objects are hidden in the game world, and you have to find them. In each of the game’s stages, you’re presented several different locations you can switch between by clicking on the entrances and exits, and each location has several items you can assemble by finding the parts of each item strewn throughout the location. Each item, in turn, can then be used somewhere within that location to generate some sort of an effect, whether it requires you to solve some sort of puzzle, spawns an item piece, opens a new location, or something completely different. The catch is that you may not be able to complete all of the items in a particular location without having cleared out another location first to change something within that area, as the mirror universe locations influence the main locations and vice-versa. You may also need to turn up an important item, which can be carried through locations as needed, to solve a puzzle in another location altogether. Your goal in each area is to turn up an important item needed to open the six doors in the Snark’s world that block the car you’re aiming for, which will allow you to chase down the Snark and capture it, presumably. 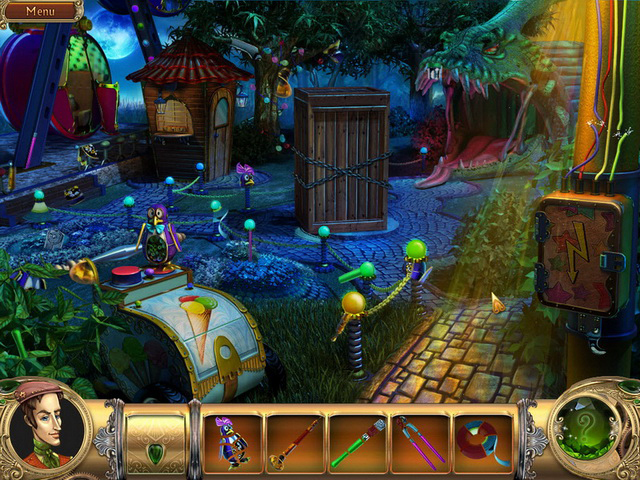 The game is simply enough to control through all of these actions, as a simple point and click will get you where you’re going or find the item you’re looking at, though if you’re stuck, the game allows you to use free hints to locate hidden items (though there’s a cooldown between uses), and you can skip puzzles entirely if too much time has elapsed. Speaking of the puzzles, they’re generally amusing enough, as you’ll have to rearrange pool balls into a correct pattern at one point, then play the right keys on a piano in another, then sort out the right pipes for a mouse to get to cheese in another, and so on, so if nothing else, they’re pretty varied. The game features seven total chapters, with one acting as a tutorial and six normal chapters leading you to your prize, and you can complete the game as a whole in about three to five hours, depending on your item finding skills and puzzle solving aptitudes. You can always go back and play through the game again if you wish, and should you choose you can also flip through the news reports that pop up about Jack and his exploits from the main menu if you wish to do so. However, games of this sort are often not notable for their replay value, and All Revved Up is no different; once the game is done, it’s done, and there are no scores to improve, difficulty options to change, or secondary mode to play around with, making this an obvious “one and done”Â affair that won’t give you much reason to come back, but if the core game were spectacular, it would hardly matter. All Revved Up is fine enough for the sort of game it is, but it’s a casual game in every possible sense of the word, as it’s completely unchallenging. Now, it’s not that the ability to use hints and skips to bypass most of the game is a problem. On the contrary, offering these as options is a good thing for less skilled players, make no mistake. 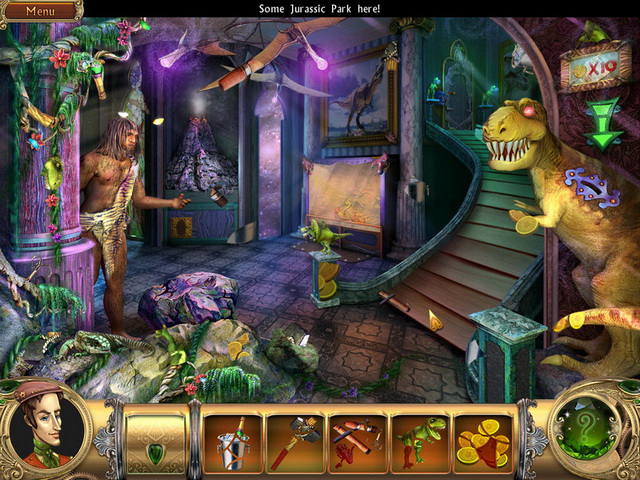 But hidden object games, by their nature, are generally not an especially big challenge, and the game offers no real reward for not using hints or bypassing puzzles to motivate players to do so, nor is there any sort of obvious scoring system or… well… anything to motivate players to try to solve things on their own. This is counterbalanced, however, by the fact that the hidden object sections are mostly easy to solve with one or two exceptions and the fact that the puzzles are not at all difficult. Half of the puzzles presented in the game are solved by finding clues elsewhere in the level, and as such offer no challenge whatsoever, and the other half are simply not difficult to solve at all. Small children might have an issue with solving a small amount of the puzzles, but most players will solve them before the skip option becomes available, honestly. Also, there might be a bug involved in starting a new game without the tutorial to guide you, as I tested the first stage without the tutorial on and couldn’t move the newspaper that you need to move to progress even after having found every single item I could possibly find and having completed every other task the game offered, so players may have to start a whole new profile if they wish to play again, for reference. 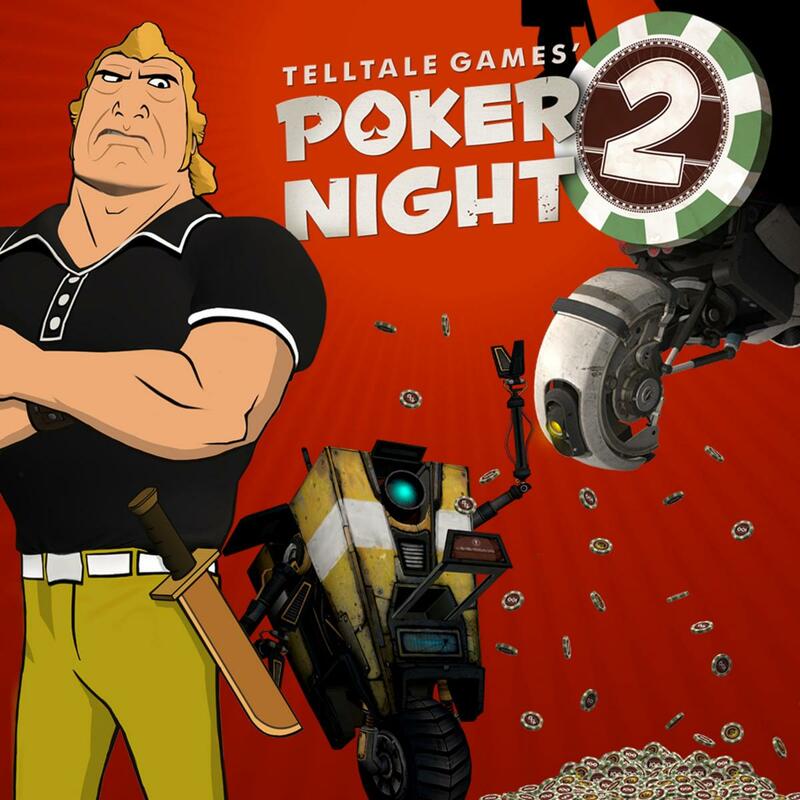 The bottom line is that as a $5 – $10 game, depending on where you purchase the game from and what sorts of discounts you’re offered, Snark Busters: All Revved Up is a generally acceptable time waster, but absolutely nothing else. The visuals and audio are cute, the game is simple to play, and it offers plenty of hand-holding for unskilled players or small children, so in those regards, it’s easily accessible. However, the plot is unmemorable and bland, the animation is barely existent and uninspired, there’s no voice acting or anything of the sort to improve the experience, and the game offers no incentive to actually make any effort to solve the puzzles when you can skip everything. 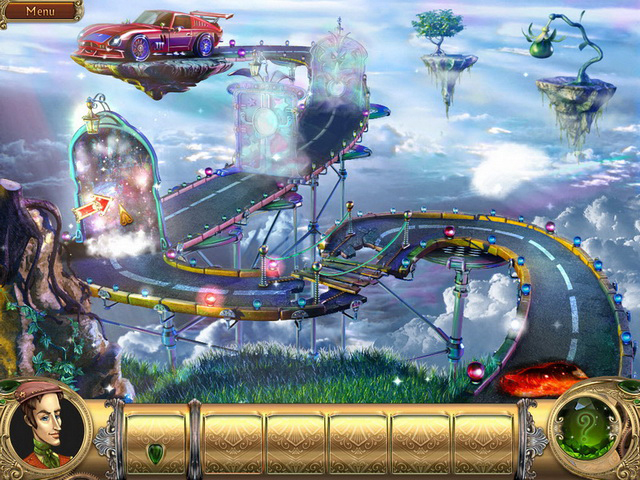 Even if you want to clear everything legitimately, neither the hidden object sections nor the puzzles are challenging unless you’re extremely poor at puzzle solving, the game offers absolutely no reason to come back to it once you’re done as nothing changes and there are no scores or hidden modes or unlockables to play with, and the game appears to be bugged at some points. Small kids and those who are completely inept at puzzle solving may find All Revved Up entertaining as a “one and done”Â sort of game, but for everyone else it will likely be a time waster that, in many respects, feels like something of a waste of time. 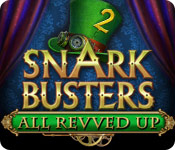 Snark Busters: All Revved Up is yet another hidden object game in a veritable digital sea of them that does nothing of worth to distinguish itself from its peers and nothing to make it worth recommending, even to those who like such games. The visual and audio presentation are adequate, and the game is simple to play for everyone and offers lots of guidance for less skilled players, if nothing else. However, the plot is unexciting and boring, the animation is barely so, there’s no voice acting to the game whatsoever, the game offers no challenge or incentive to do well whatsoever, there’s absolutely nothing to bring players back to the game once it’s completed, and there appear to be minor bugs here and there on top of it all. The bottom line is that, for the same price, you could get something like The Lost Cases of Sherlock Holmes 2, which is a game from the same genre that is literally superior in every possible respect, and as such, when there are superior products available on the market for the same price, well, that doesn’t give one a lot of reason to spend any money on something like All Revved Up, to be honest. 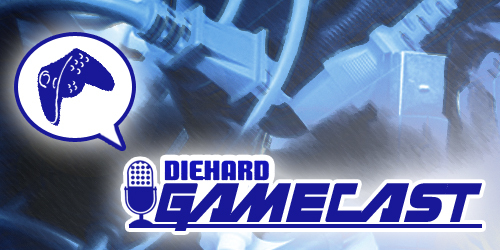 Diehard GameCAST: Episode 80 – Trials of the Blood Dragon, Fairy Fencer F: Advent Dark Force, Beyond: Two Souls, and more!